The state is likely to host reactors with a capacity of 1200 megawatts each. The Indian government has started looking for sites on the coast of Andhra Pradesh for setting up a nuclear power plant (NPP) with Russian assistance, Minister of State for Atomic Energy Jitendra Singh told the Rajya Sabha on Feb. 3. “The site selection committee of the government is exploring the possibility of identifying a suitable coastal site in Andhra Pradesh for locating nuclear power plants with Russian cooperation,” Singh told the upper house of the Indian Parliament. Negotiations are underway, but no official decision has taken yet on the site, the Ahmedabad Mirror said, citing sources in Russian state owned nuclear company Rosatom. Sputnik reported, that the potential project will comprise of Russian made VVER Generation 3 units with 1200 Megawatt capacity each. Jitendra Singh told the Rajya Sabha that some locals in the southern Indian state have expressed apprehensions about the safety of the nuclear power plants and loss of traditional means of livelihood. International experts have vouched for the safety of Russian-built nuclear plants. 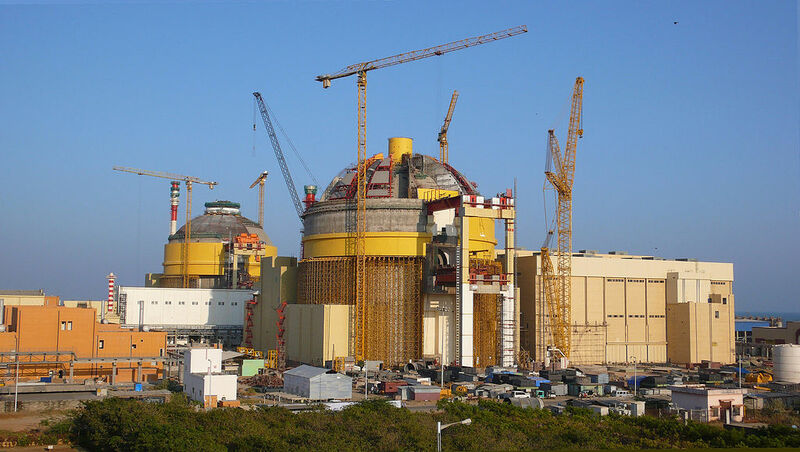 Meanwhile, the second unit of the Kudankulam Nuclear Power Plant (KNPP) has reached 100 percent capacity (1000 megawatts) in January. KNPP’s second unit was connected to the power grid of India on Aug. 29, 2016. Physical start-up of the unit commenced in May 2016 when the first fuel assembly was loaded into the reactor. In total, 163 fuel assemblies were loaded into the reactor. Rosatom constructed the nuclear power plant, which is now being operated by The Nuclear Power Corporation of India (NPCIL).